Bruce Springsteen and stadiums go together like football and apple pie. 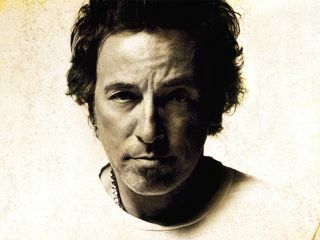 And this February 1, it'll all come together as the National Football League announced today that Bruce And The E Street Band will perform at the halftime show of Super Bowl XLIII, to be played Feb. 1, 2009 at Raymond James Stadium in Tampa, Florida. Bruce Springsteen And The E Streeters are the latest in an impressive array of music superstars who have entertained audiences at America's most-watched single-day sporting event. Chubby Checker, who inspired the '60s Twist dance craze, began the tradition in 1988. Since then, Super Bowl halftime shows have featured some of the biggest names in contemporary music, including Prince, Paul McCartney, The Rolling Stones and U2. Janet Jackson's infamous "wardrobe malfunction" in 2004 caused a huge public controversy, leading to a half-million-dollar FCC fine against broadcast network CBS (since rescinded). The NFL says the 2009 Super Bowl will be broadcast to more than 130 countries. For Springsteen, that could be Magic.